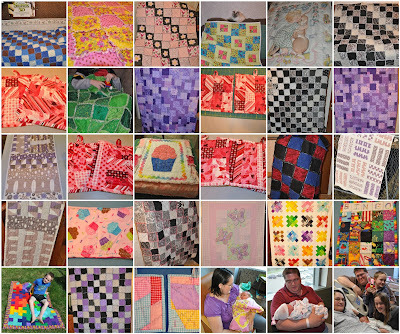 Wow, I can not believe 3 months have come and gone on my time here in blog land and Quilting. Above is most of the items I have made. 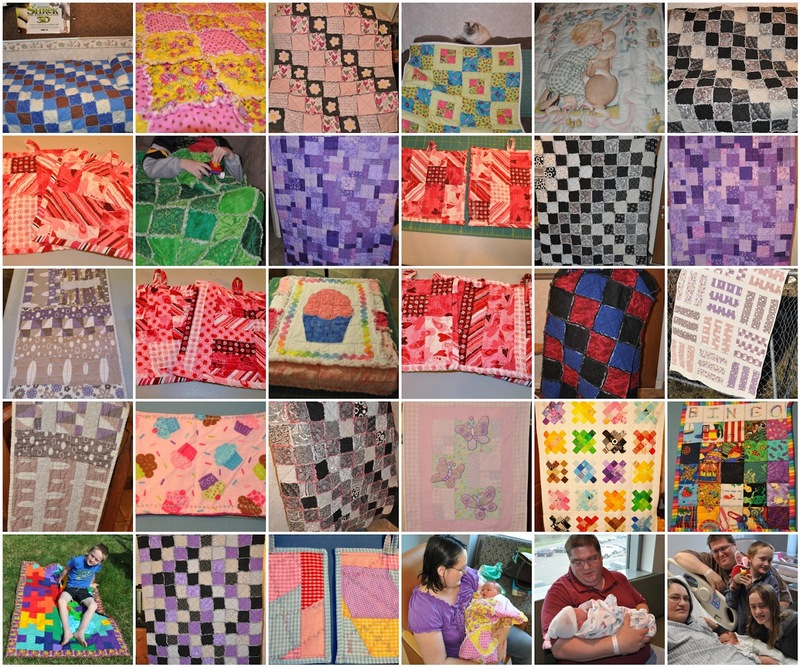 They include 1 Queen Size Quilt, 1 Twin Size Quilt, 10 Lap Quilts, 6 Baby Quilts, 17 Hot Pads, 2 Pillows, 1 Pillow Case, and Tanya made 2 Burp Cloths. In aaddition we had Julia, join us in our life. Our family is blessed. Now If I can do all of this in the first 3 months, what do you think the next 3 will hold? I think I can out due my self as I am now better at quilting. Its taking less time to do many of the tasks that use to take hours are only taking minutes. Tanya is now ready to help more which will help also. The goal still is 52 projects completed in 52 weeks. Seeing as I have 40 items so far on the list, I think I am well on my way. We may have to up the game! Thank you all for following the Journey so far. Please let me know what I can do to improve my blog to make it more enjoyable to you the viewers. You've done great, but, I think you just may slow down now that the baby is here. At least you are way ahead of schedule. Don't up the ante yet. Wait to see how much more time Julia is going to take both of you. =) And summer is coming. Things slow down in summer - children all home and other activities are going on. Then in the fall, all the holiday preparations take time, too. You may find you can up it, but don't be in too much of a hurry. You're doing a great job in only 3 months! I am in awe of you my friend. Glad everyone is doing great. Up the number after you beat it. Have a great week and create! Firstly let me congratulate you and Tanya on the birth of that beautiful baby girl. You both did a great job. I too am in awe of your quilting. You are just one mean quilting machine. Keep it up. Oh! forgot to say you are just doing fine with your blog content. I love reading it. I really enjoy your quilt projects and a tutorial no less....must try it soon and little snippets of your life.